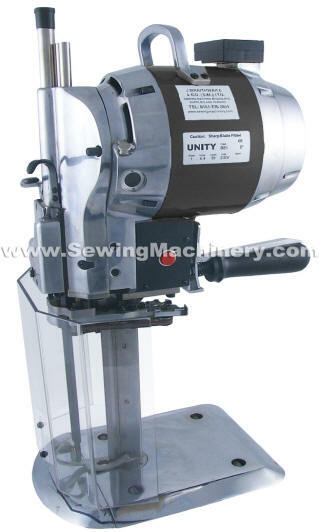 Heavy Duty industrial straight knife cloth cutting machine for use with heavy and tough fabrics. Fitted with a powerful 1HP heavy duty motor and enlarged front safety shield. 35% to 50% more power when compared with standard machines including Unity 889 model. 1HP Heavy Duty industrial motor.